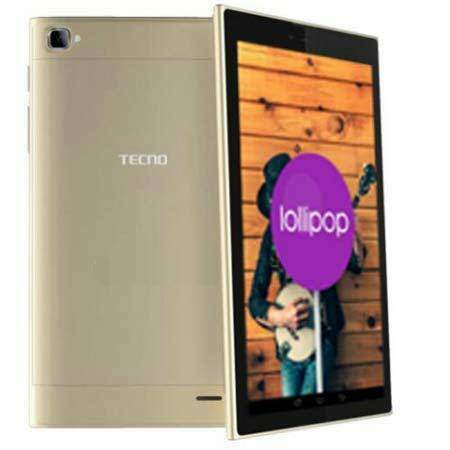 The Chinese Telecom giant, Tecno after the launch of its first affordable Android 5.0 Lollipop 8-inch Tablet – Tecno 8H (DroidPad 8) earlier this month has decided to come with a low price edition of the 8-incher Tecno Tablet, but this time as a 7-inch Tablet – Tecno 7C (DroidPad 7). Before we jump straight to the full Tecno 7C (DroidPad 7) specifications, you might be interested in seeing the device key features. Tecno 7C (DroidPad 7) is a 7-inch Tablet aimed at folks looking to own Tablets but wouldn’t want to break their banks. The device features mid-range specs for its low budget pricing. The build of the Tablet shares same aluminum finish sported on the DroidPad 8 but features a WSVGA IPS Touchscreen display measuring 7-inch diagonally and having a resolution of about 1024 x 600 pixels touting a pixel density of 170ppi. The Tablet is powered by a dual-core MediaTek MT6572 processor clocked at 1.3GHz alongside with 1GB of RAM and Mali 400 GPU paired with 1GB of RAM and has gotten an in-built storage of just 8GB. There is a microSD card slot for storage expansion up to 32GB. The afore-mentioned Tecno 7C (DroidPad 7) runs on Android 5.0 Lollipop OS and comes with only 2-megapixel (1600 х 1200 pixel) back camera with LED flashlight and harbors a 0.3-megapixel VGA front snapper (640 x 480 pixel) for video calling. It is a perfect device that gives you an immersive stereo sound and theater-like experience in your home. So you can call it a Complete multimedia Tablet as it also lets you share pictures, songs, videos and documents with your friends with single tap. Connectivity option present in the DroidPad 7 includes: 2G and 3G networks, dual SIM slot, USB OTG, Wi-Fi 802.11 b/g/n, FM Radio, Bluetooth, GPS, Hotknot and lastly, the Tablet is juiced by a 3000mAh Battery. The DroidPad 7 has officially went on sale in Ghana lately with a price tag of GHC330 which is equivalent to $75. 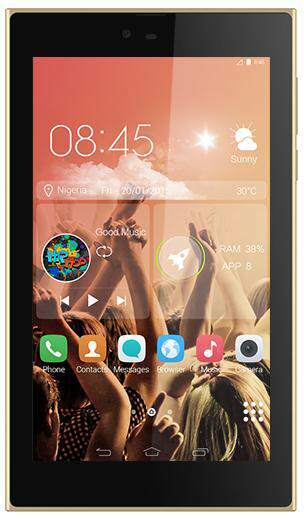 The Tablet is expected to be selling for a price range at around N20,000 to N25,000 when available in Nigeria. I took my TECNO C7 PRO. to the service center for them to flash it. After I noticed the play store isn’t on the phone again and each time I open opera mini am being told I should update the phone. perfect 3G service but now I feel like selling it away. can somebody tell me how to video call on 3g before I dispose it of. thankx for assistance. I can’t find the way to call on 3G, can somebody out their give me an advice. I feel letted down. Hi. Am trying to use the front camera. How do l use it? I have one. And its very good. Battry life is long indeed up to more than 24 hours. But Samuel you are not answering the question of a second sim slot. I havent seen it. I just saw ones slot, where is the second slot. Also can i upgrade it to Android Lollipop 5.2.0? I wanted to buy the driodpad 7 bt i still afraid of its credibility. Those using it, can u pls tell me sumfin abt it? It’s really great device. I’m enjoying it. Pls can you show me where the second sim is located on the phone. Kwadadeedinam@yahoo.c. Thnx. I just bought Tchno 7C and still trying to figure out show to take screen shot. I would appreciate if someone can assist me with this, please explain it step wise.